Bruce Stocks is a partner in the Finance & Acquisitions Department of Davis Graham & Stubbs LLP. His practice emphasizes corporate transactions involving private companies and investors, including mergers, acquisitions, recapitalizations, reorganizations, joint ventures, and equity and debt financings, as well as corporate governance matters. Mr. Stocks has extensive experience representing private equity funds, fundless sponsors, and other private equity investors in investment transactions and financings, joint ventures, restructurings, and sales of portfolio companies. He also represents portfolio companies in and add-on acquisitions, financings, and other transactions. A significant portion of Mr. Stocks’ practice currently involves the hospitality industry, where he represents investors and owners, operators, and developers of hotel properties in connection with joint ventures, debt and equity financings, acquisitions, dispositions, and hotel management agreements. 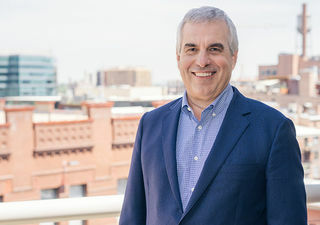 He currently serves as the chair of the firm’s Hospitality Group. Mr. Stocks also has significant experience representing gold mining companies in connection with acquisitions and dispositions, joint ventures, royalties, and other commercial transactions. Mr. Stocks has earned the AV® Preeminent™ Peer Review Rating from Martindale-Hubbell and has been named a “Leader in Their Field” by Chambers USA in the area of Corporate/M&A for many years. Mr. Stocks has also been selected for inclusion in The Best Lawyers in America® in Corporate Law and Mergers & Acquisitions Law and Colorado Super Lawyers. He was named by The Best Lawyers in America® as the 2016 “Lawyer of the Year” for Mergers and Acquisitions Law in Denver. Represented Sage Hospitality and Sage Hotel Capital in connection with hotel and mixed-use hotel development joint ventures in Denver, Colorado (Denver Union Station, Halcyon Hotel in Cherry Creek, and Maven Hotel at Dairy Block in lower downtown), Boulder, Colorado (Hilton Garden Inn and Embassy Suites), and Portland, Oregon (AC Portland). Represented Sage Hospitality Resources, LLC in the $127 million sale of The Nines Hotel in Portland, Oregon. Represented Newmont Mining Corp. in its acquisition of Cripple Creek & Victor Gold Mine in Colorado from AngloGold Ashanti Ltd. for $820 million plus a royalty. Represented Newmont Mining in the sale of Midas mine and the related ore milling facility located in Nevada to Klondex Mines for $83 million.